Jesus reminded us to "pick up your cross daily and follow" him. The way of truth is a daily choice. To not seek to intentionally put him at the center of our life, the top priority in all of our decisions is to slip a little bit further away from the life he calls us to lead. Any decision made without consciously seeking to please him is a decision to place him at the periphery of our lives. So let's set our heart on him. Let's choose his way, the way of truth, the way of life, and set our hearts on doing his will. 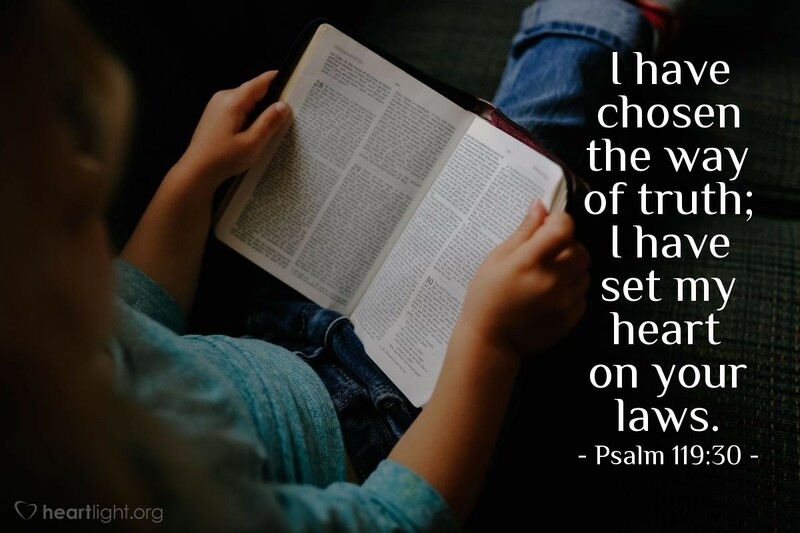 Heavenly Father, I choose to follow you and your truth today. Open my eyes that I may see your truth and open my heart that I may live it with consistency and passion. I decide today, again, to follow you with all my heart, soul, mind, and strength. In Jesus' name, I pray. Amen.